My first real experience with social media was Tumblr back in high school. I still have the blog I had back then—although I’m not as active, don’t post original content, I just reblog pictures, and don’t interact with anyone on there—but I also had another blog at one point, too, for some reason. To be honest, I’m not sure why I did, but it hasn’t been updated since 2011. The other night, I stumbled upon that other Tumblr account I had, and it’s definitely me circa 2010/2011. It’s all Red Sox, NCIS, and Big Time Rush. Maybe I was a little weird in high school. I won’t subject you to the URL, but it’s embarrassing. So I’ll share “above the fold” with you guys. 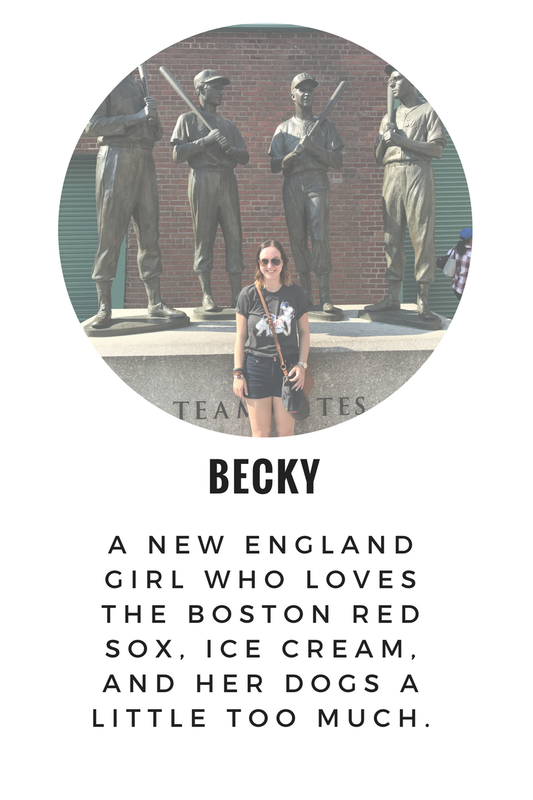 Granted, I’m still obsessed with the Red Sox, still watch NCIS, and wish that Big Time Rush was still a thing, but I don’t think I’m as annoying about it. Also in my quest of looking at my old blog, I wanted to change the theme of it, because the one I had used was bad and I thought this was a good way to spend my time instead of doing other important things, like working on my word count for NaNoWriMo or watching The Blacklist. So that required logging into the account, using one of my old email addresses from high school. The email I use now as my personal one involves my name—since we were told in the end of high school to have a “professional” looking email address—but in high school I had two other accounts that I used for social media purposes. I tried logging into the account with the email I thought it was, but I didn’t know the password, so I had to reset the Tumblr password… but before that, I had to reset the password of that email address because I didn’t know what it was. Five minutes and a new password later for an account I’ll probably never log into again later, I was in and was able to change the Tumblr account password. And get a blast from the past with emails. I used to write notes on my phone—well, at that time it was most likely my iPod Touch—and then send them to myself, because I chronicled my junior and senior years of high school. So most of that email was full of those notes but I also found some other stuff I never realized I wrote, like about my ex-boyfriend when he was my boyfriend at the time. I feel like we all have these old school social media accounts and email addresses floating around—one of the recovery emails for my old emails was my AIM email, like I’d ever remember the password for that! I had created some friends on Tumblr, back when I feel like people used it more, and we follow each other on Twitter, Instagram, Snapchat, etc. (I also went on a date with someone I met on there… yeah…) Not to play “Remember when” but social media just seemed less stressful back when I was in high school (2009-2012), mostly because what we use now wasn’t invented yet or was just getting off the ground. I’ll be 26 in two years. Only one part of that will most likely be correct by then: having graduated college. I took one accounting class my sophomore year of high school—in 2010—and thought I wanted to be an accountant for the rest of my life. THANKFULLY I figured out that wasn’t a good idea. Having my own place may be iffy. Not sure if/when I’m ever moving out of my parents’ house… Maybe I could afford to in a couple of years. And 2010 me would be disappointed that 2018 me has only been to four Red Sox games. Do you have any old social media accounts floating around in the Interweb? Do you still use them? Or did you completely abandon them and hope they’re still doing well? At least you’ve gotten better over the years! I don’t even want to go and look back at the papers I wrote even in my freshman year of college because no doubt they’re horrible haha. I didn’t get into the social media game until 2009 so thankfully I don’t have any accounts out there blowing in the breeze full of embarrassing posts lol. Actually, my old Twitter account is technically floating around but that’s it. Also, I feel like we all took an accounting course in high school and thought it was really cool but then reality hit for 80% of us. Mine aren’t necessarily embarrassing, like in a way that’ll come back to haunt me when I become famous and someone digs through all of my social media, but it’s weird to see how I was eight years ago. The bad part is that I think my parents were on board with it and they definitely should have talked me out of it. I ended up deciding I wanted to be a sports journalist after taking a media and writing class junior year of high school, and then in my freshman year of college, I switched from a journalism concentration to PR because I took one journalism class and hated the professor hahah. But thankfully I never became an accountant. Because I feel like that’s a really boring job. Oh jeez, live journal. That might have been a little bit before my time, and I never even had a MySpace haha. It’s weird to think about what’s floating out there. I kept a blog over at Blogger for 10 years. It’s still there. Though I haven’t added anything to it since just after I began my current WordPress blog. And those last couple posts were just to tell people I was blogging elsewhere now. I’m pretty sure Google still charges me annually to keep the domain name that I had over there. It’s not much, so I don’t mind paying. Because what if I decide I want to go back to Carp Dime again? You always have to leave the door open, right? haha I wonder if there’s an expiration date for all of our really old accounts, like I have an AIM that’s out there, but does AIM even work anymore? It was popular when I was in middle school (around 2008) but I haven’t touched it since. I think I heard that they finally shut down AIM a couple years ago. End of an era. I actually still have all my original social media accounts except Pinterest– I recently started a new one but all of the appd are installed and signed into on my phone. I just rarely ever look at them anymore! I like that I can go soooo far back on all of them so I’ll prob never delete them. It’s kind of nice to have all of the old stuff chronicled, like you can go back and look at all of your posts, although some of them can be cringe-worthy haha. That’s what happens sometimes when my Timehop shows me posts from like six years ago.